Breathe-in experience, breathe-out poetry with Poetry In The Dark; tailored experience where they’ll feed verses to your ears only. Come watch five feature performers and talented students of the Blind People’s Association take you on a journey, with nothing but their voices to navigate your thoughts. ‘It is poetry in the dark, literally. A ticket costs Rs. 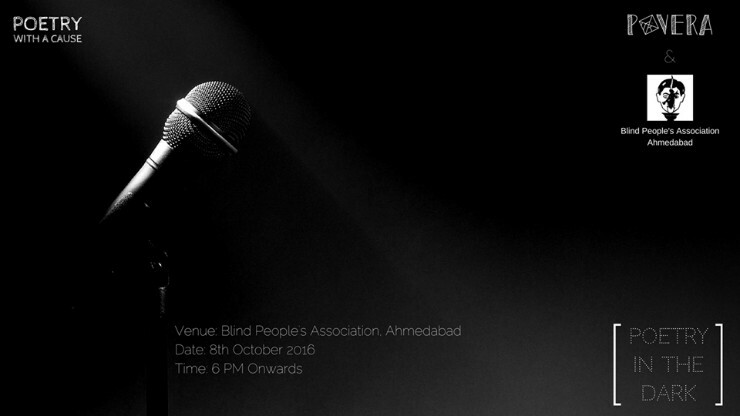 250 and all ticket proceeds will be donated to Blind People’s Association as part of their Daan Mahotsav Week. Come, listen to poetry, and brighten a few futures simultaneously.